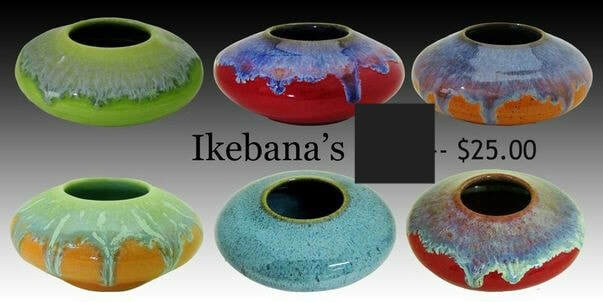 Ikebana's Our disc shaped ikebana's are approx. 3.5-4" also 5" in diameter, they come with a frog attached and are less then 2" in height. Ikebana is the art of arranging flowers. 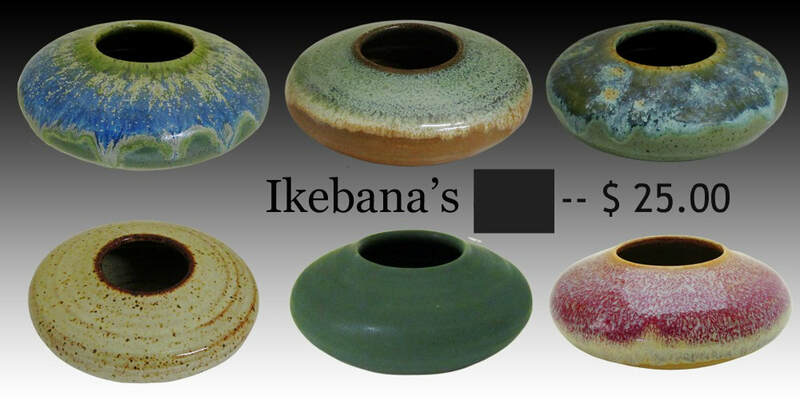 In Japanese "ike" means to arrange and "bana" ori-gens from the word "hana" meaning flower.In Ikebana the flowers and branches are arranged so that they appear in a beautiful, simple, and natural way. 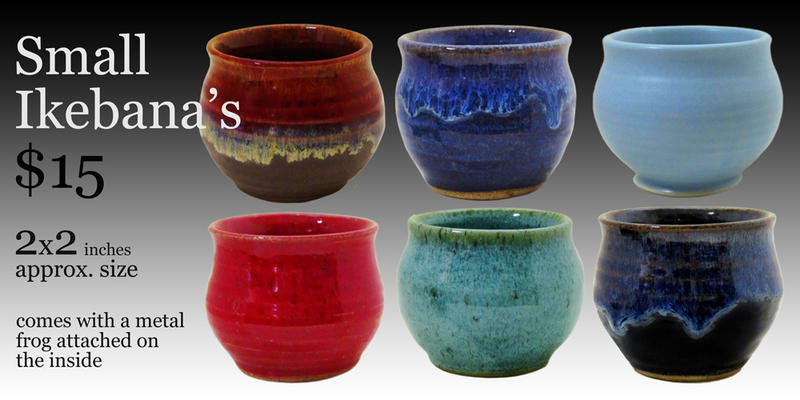 A one of a kind piece of pottery from an Our elite Cincinnati Potter, Jason Parsley. 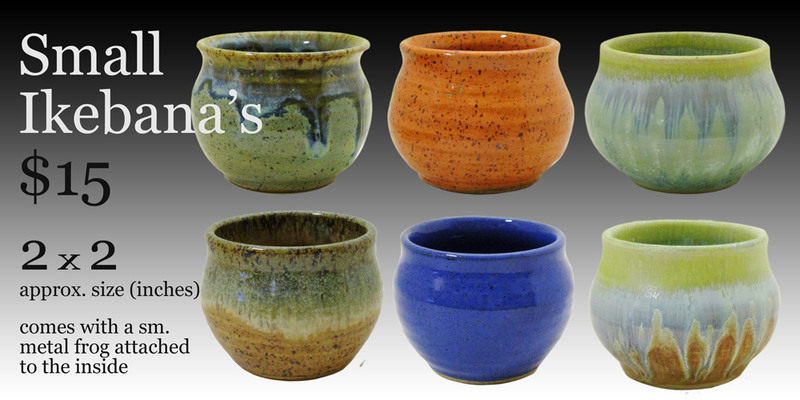 Please allow 2-4 weeks for delivery depending on availability. Our Ikebana's come with a Pin frog which contains metal spikes for the placement of the flowers, use caution when placing flowers in the pin frog . 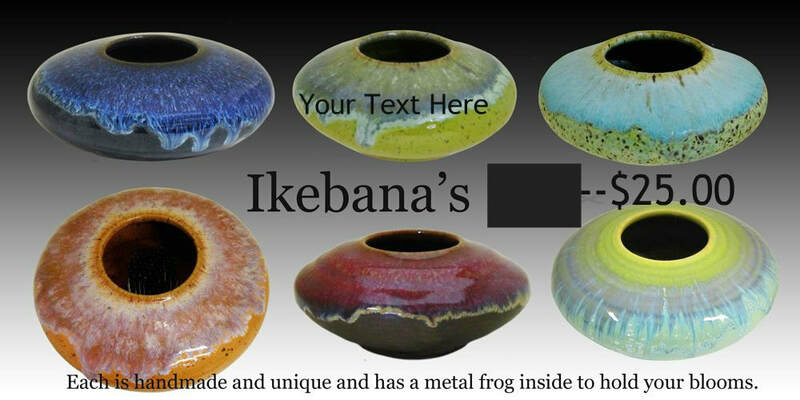 New Design and colors for 20.00 Ikabanas above.